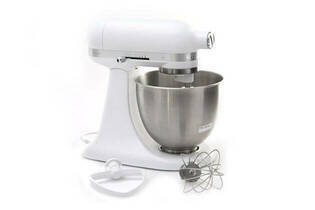 Snapshot: The KitchenAid Mini Stand Mixer KSM3311 has a 3.3L bowl and comes with dough hooks. How well does it beat, mix and knead? Beater height is adjustable using flat screwdriver. 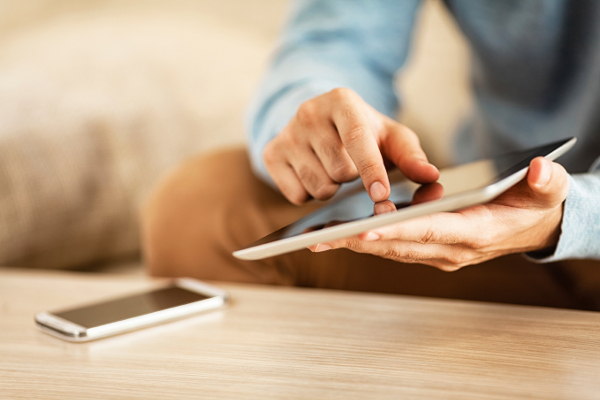 Comprehensive instructions with diagrams and speed guides. Unit is fairly easy to wipe over, smooth surfaces with few cracks and crevices where dirt can accumulate. A lot less powerful than the larger model so mixing can take longer. Heavy motor head is not spring-loaded. Bowl may jam onto unit after mixing. Mixing bowl has a small base area and can be unstable when placed on bench. No eject button to remove beater, hand can get covered in mixture.